Monitoring tubing and casing pressures from wellheads helps operators optimize ongoing well production while gaining a better understanding of long-term performance. Sites using manual monitoring methods are finding difficulty in managing costs, efficiency and accuracy of operations. Even wired remote monitoring systems are expensive when considering wire and trenching costs. Wireless remote monitoring systems are proving more cost effective and efficient in tracking tubing and casing pressures from wellheads, especially those located in challenging and large-scale environments. Many well sites use dial gauges to measure wellhead pressures based on price. Appealing to the cost conscious, low-cost dial gauges provide false economy as manual intervention is expensive and prone to error. Using this monitoring method, pumpers must regularly drive to multiple well locations to check gauges and record readings. Even if technicians only take a few minutes to check and record tubing and casing pressures, the cost of a pumper, with truck and tools, can easily exceed $100,000 annually. The skill of the pumper often determines the reliability of information. Also, if the well status changes immediately after a reading, a problem could go undetected for another 24 hours or more. As a result, the well might not operate optimally over an extended period, resulting in lost production. Signal Fire’s Remote Sensing System™ (SFRSS) resolves many of the problems associated with manual gauges and even wired remote monitoring systems. In addition to automating manual tasks, the SFRSS provides greater control and visibility into ongoing operations. Operators no longer need to visit every well to track status as it is available via computer. While wired remote monitoring and control systems do eliminate manual processes by establishing a connection to a local remote terminal unit or data backhaul system, they require expensive trenching and may not be usable in certain locales. Besides, wiring costs can vary significantly depending on the run length and need for special configurations to operate in the challenging environments of many oil fields. For complex installations, wiring costs can range from $10 to $20 a foot, when calculating all costs. Using the SFRSS, the installation cost is far less expensive and faster than wiring. 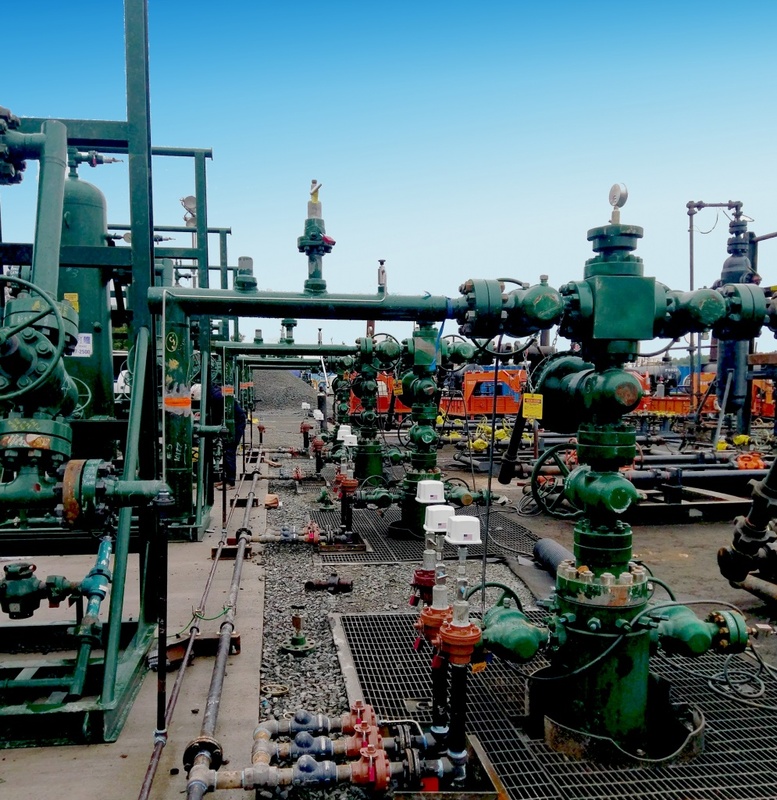 As most wellheads are not located closely to remote terminal units, the SRFSS utilizes an innovative long-range mesh networking technology specifically designed for challenging, large-scale environments. Meshing technology mitigates range limitations as data is moved from device to device to its ultimate destination. In many instances, a long-range mesh network gathers tubing and casing pressure data from several wells. With a wired system, the cost of conduit and wire would be prohibitive. Consisting of a Gateway and remote nodes that interface with a variety of sensors, the SFRSS monitors pad tubing and casing pressures as well as other parameters including gas flare temperatures and tank levels. As a low cost alternative to conduit wired and other pressure sensor solutions, Signal Fire developed the Pressure Scout, an intrinsically safe wireless pressure sensor, to support pressure monitoring and alarm reporting as part of the SignalFire Remote Sensing System. Consisting of a pressure sensor integrated with a wireless node and internal battery, the Pressure Scout provides a robust, long-range (up to ½ mile) transmission to the Signal Fire Gateway where pressure data becomes available via a Modbus RTU or TCP interface. Operating on extremely low power, the Pressure Scout utilizes an internal battery that powers the integrated pressure sensor and radio for up to 10 years. For example, an application requiring a five second pressure sample interval for alarming, with a one minute reporting interval will last for 6.5 years. Operable in temperature ranges from -40ºC (104ºF) to 80ºC (176ºF), the Pressure Scout operates in challenging outdoor environments, sustaining signal strength through terrain, structures, or weather.